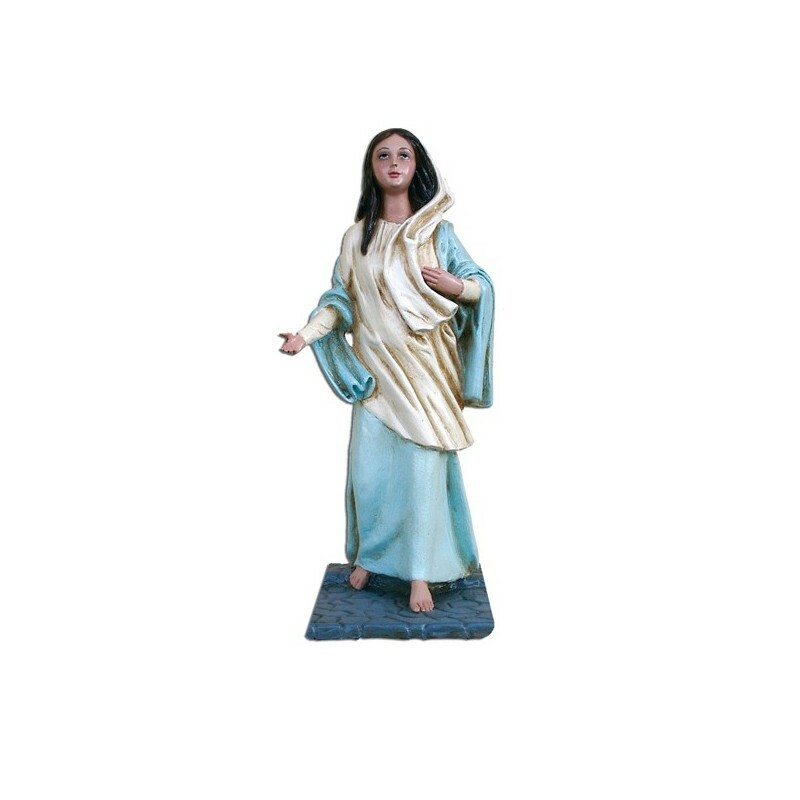 Statue of the Virgin Mary from Nazareth 28 cm. 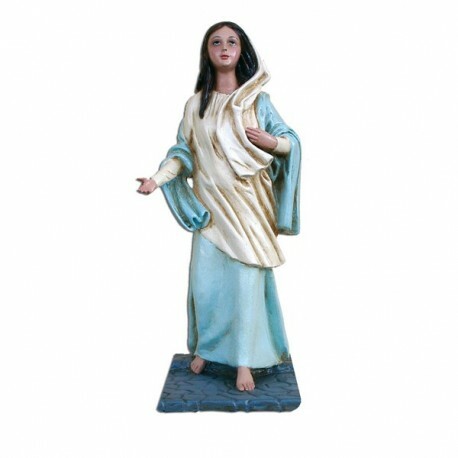 Mary Mother of Jesus was born in Israel, from Ann and Joaquine, who was already quite old. When she was an adolescent, she married Joseph. She is illustrated as an adolescents with white and light blue clothing.